GATE stands for Graduate Aptitude Test in Engineering is a computer-based standardized test that is conducted every year. It is conducted to test the knowledge of the undergraduate subjects of engineering and science. It is conducted on behalf of National Coordination Board-GATE, Department of Higher Education, and Ministry of Human Resources Development (MHRD), Government of India. Read more on top gate preparation tips. Bachelor’s degree in Engineering / Technology / Architecture and the candidates who are in the final year of these programs. Master’s degree in any branch of Science/Mathematics/Statistics/Computer Applications or must be in the final year of such programs. Candidates in second or higher year of Four-year integrated master’s degree programs in Engineering / Technology. Candidates in fourth or higher year of Five-year integrated master’s degree programs or Dual Degree in Engineering / Technology. GATE exams can be attended any number of times by the candidates as there is no age limit for applying in the GATE. 70% marks are devoted to the subject matter. Apart from these, the knowledge of General Aptitude and Engineering mathematics is also tested. There are 10 questions that carry a total of 15 marks in General Aptitude and carry 15% marks. The Engineering mathematics carry 15 marks. Here you are tested for English grammar, sentence completion, verbal analogies, word groups, instructions, critical reasoning and verbal deduction, numerical computation, numerical estimation, numerical reasoning and data interpretation. GATE exam is a 3-hour duration test that contains two different types of questions in all the papers. It consists of 65 questions for a total of 100 marks. These contain multiple choice questions that carry 1 or 2 marks. For each wrong answers these have a negative marking of 1/3 mark for 1 mark MCQ, and 2/3 mark for 2 mark questions for the wrong answer. These questions are designed to test different user abilities like Recall, Comprehension, Application, and Analysis and Synthesis. 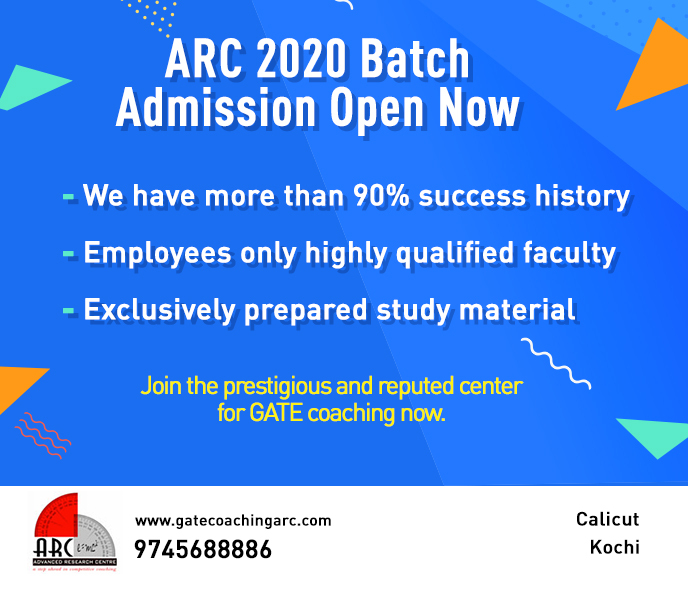 GATE scores are valid for up to 2 years. Read more on GATE 2017 – 2018 new changes. Apart from these, there are various other colleges as well where you can take admissions using your GATE scores. During your course, you are also provided with financial assistance during your Master’s and Doctoral programs in Institutes supported by the Ministry of Human Resources Development (MHRD) or other Government agencies. Apart from the Indian universities, there are various foreign universities where you can take admission in some prestigious GATE scores. The candidates can opt for admission into the Masters and Ph.D. programs. Some of the most popular foreign universities are National University of Singapore, Nanyang Technological University in Singapore, technical universities in Germany and various other foreign universities. GATE scores can also help you to pursue research with the help of Junior Research Fellowship (JRF) that is introduced by Council of Scientific and Industrial Research (CSIR). It allows GATE-qualified engineering graduates and GPAT-qualified pharmaceutical graduates to conduct research with Ph.D. programs at CSIR laboratories. During the research too you are provided with the financial assistance. Apart from these, there are various other organizations that provide you job opportunities based on your GATE scores. Read more on the opportunities after gate exam. 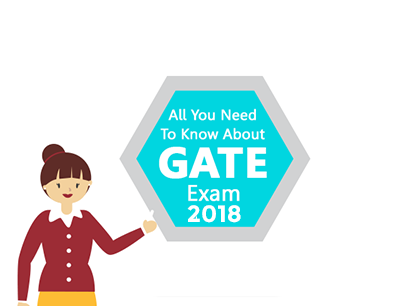 How to Prepare for GATE is one of the biggest questions asked by all GATE aspirants. It is because it is quite a tough exam and lakhs of people apply for the exams and out of those only a few of them are able to crack the GATE exams. Apart from this, the syllabus of the exam is also vast. In order to make sure that you enhance the chances of your success in the exams, here are some of the important tips that if followed properly can help you to qualify for the exam. Check out the simple steps to pass gate exam with flying colors. The syllabus forms an important aspect of the syllabus. This helps you to get an idea of what topics you need to prepare. Here you can also find out about the topics that are easy and the topics that are hard. Based on the same you can decide how you need to prepare. You also need to have the knowledge of a proper pattern for the exam with the help of previous year question papers. This can help you to have a clear idea of the subject and provide you with an idea of the topics, subjects, and sections that appear frequently. This can help you to focus on the topics that can help you to fetch more marks. It is also necessary that you have a proper idea of the weightage of different topics and sections. After getting a proper idea of the weightage, you can choose the option on which you need to focus to crack the exams. This can be done by looking at the previous year’s questions and know which topics appear frequently and what topics get the most weightage. A proper study plan is necessary to help you in qualifying the GATE exams. Make a proper timetable and a proper study plan and adhere properly to the same. This can be done by dividing the topics into strong, weak, important, very important, etc. Based on the same, you can specify daily, weekly and monthly targets. Ensure that you achieve your targets and schedules you have set for yourself. Here are some of the best and top gate preparation tips. While preparing for GATE it is also necessary that you have a proper selection of books and resources. This can be done by either the toppers, textbooks, or comprehensive books based on your choice for preparation. You can also prepare by looking at the NPTEL lectures. This can help you to understand the topics. You can also use social media platforms to prepare for the exams and utilize the network of like-minded students. The conceptual knowledge is quite necessary and can help you to solve some conceptual questions and score better percentile. In the online exams you are provided with the virtual calculator. This is a bit different from the physical calculator. Hence it is necessary that you have a proper idea of how to use the same. While preparing for the exams, it is necessary that you remain motivated at all times. This can also be done by getting to know the GATE preparation journeys of the toppers. This can help you to understand about their GATE journey, books they have prepared from and their insights. Apart from this, you can also seek help from your seniors/ classmates that aim for GATE. It is necessary that you reach out to the right people with proper motivation. Revision is an important aspect of the GATE exams. It is because apart from preparing well, you also need to remember these on the exam days. Hence you must revise it regularly and also evaluate yourself at the end of every topic. This will also help you learn about your subjects well and remove any doubts. You can also prepare for the notes on different topics and re-brush it before the exam or topics. The completion of the syllabus is quite necessary and is the first step of preparation. It is because the questions are on different topics and subjects. This can be done by reading topic to topic and make the revision note. You can also make revision note for each topic that contains different definition, formulas, differences, etc. GATE exams preparation can be evaluated with the help of test series and online mock tests. This can also help you to prepare for the time management while taking the test. It can also help you to get an idea of your weak areas and take proper steps to tackle the same. Mock tests also help you to tackle your progress and performance. Here are some of the best educational apps for gate preparation.